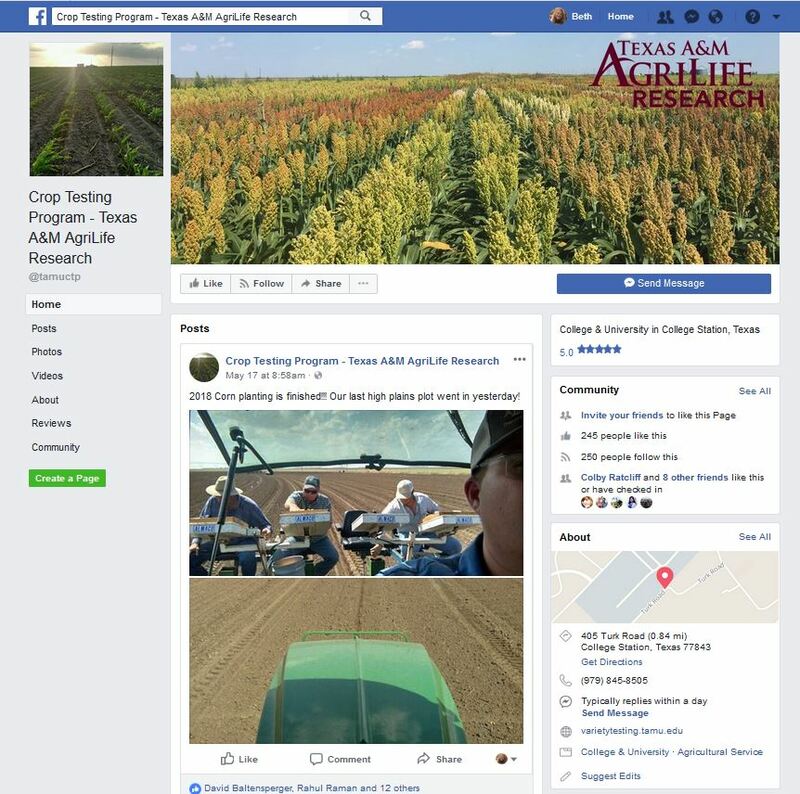 Plant science researchers at Texas A&M University conduct crop variety testing trials to determine which varieties of that crop have higher yields or are more drought tolerant, heat tolerant, disease resistant, or display some other desirable characteristics. Both grain producers and industry use the information generated to select the best varieties for production or for sale in specific target regions. Crop variety testing research is conducted in many strategic production regions throughout Texas, including the Texas A&M AgriLife Research and Extension Centers, the Texas A&M farm services facility near the Brazos River west of College Station and numerous on-farm sites with cooperating producers. This multi-location testing provides data under a multitude of environments which differ in soil type, moisture, temperature, day length and cultural practices. This is essential in Texas given the diversity across the production environments. The research is supported in many different ways, ranging from seed companies to major agriculture commodity groups whose producers will benefit from the knowledge gained.